“We’re not going to collaborate any longer with the dictatorship,” Guaido said after a meeting at the offices of an engineers’ association in Caracas. He urged state workers to prepare for a strike, though no date was given and he said an immediate priority will be to promote a law guaranteeing rights for public workers. 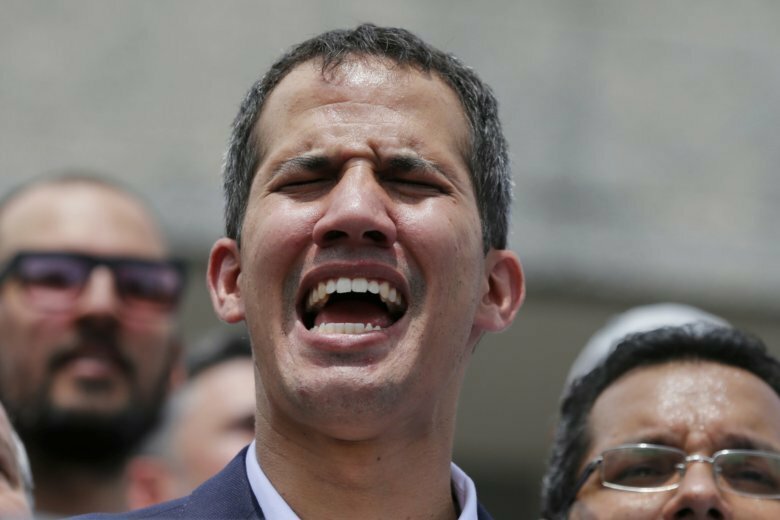 Guaido and his backers say Maduro’s re-election last year was invalid, making the legislative leader interim president. At least one pro-Maduro Supreme Court judge has accused Guaido of illegally usurping power, putting him at risk of arrest. Guaido had shrouded the route and timing of his return Monday in secrecy amid concerns he might be detained. Yet he breezed through airport immigration checks after a commercial flight from Panama and brazenly called for Maduro’s downfall at a rally where the presence of security forces was minimal. “Issue a standing arrest warrant from a rubber stamp court. Then at a time of their choosing, arrest him late at night with no media, diplomats or supporters around,” Rubio warned in a tweet. While Guaido’s presence is likely to add at least short-term momentum to his campaign for political change, Maduro has proven resilient and still controls the organs of state, including the critical loyalty of top military officers. Some analysts speculate the two sides might consider behind-the-scenes negotiations as a way to end the standoff. “In every democratic transition in Latin America there are negotiations, but I just would say it is extremely difficult to see how he could play a positive role in a democratic election,” Abrams said.